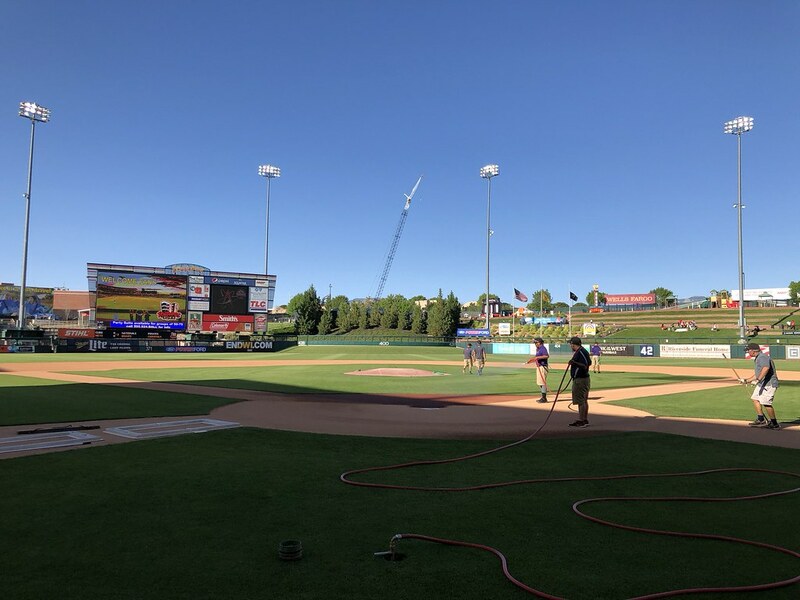 The view from behind home plate at Isotopes Park. 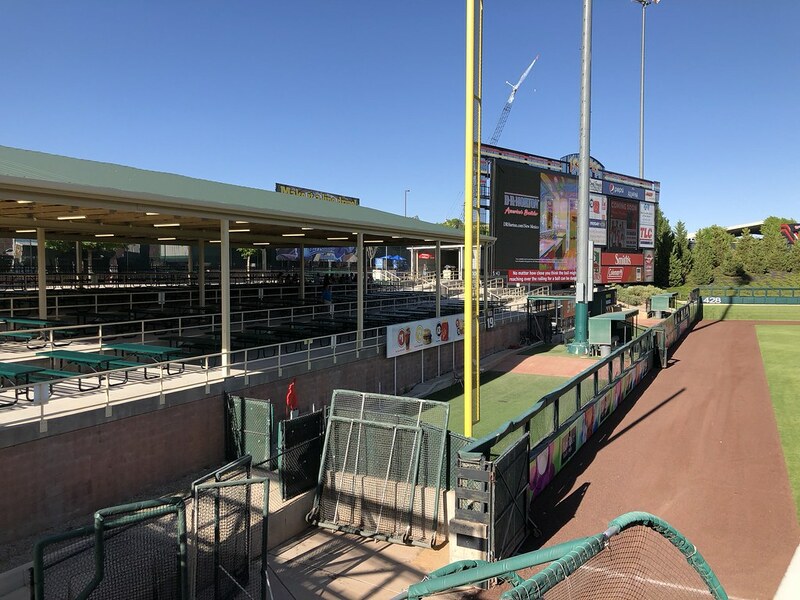 The grandstand at Isotopes Park, as seen from center field. 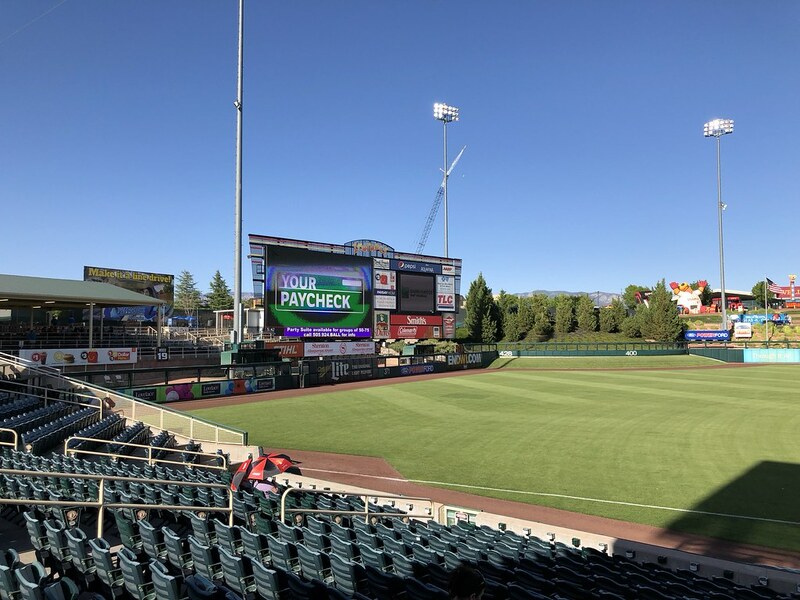 The current grandstand was built in 2003 to replace the original Albuquerque Sports Stadium that stood in the same location. 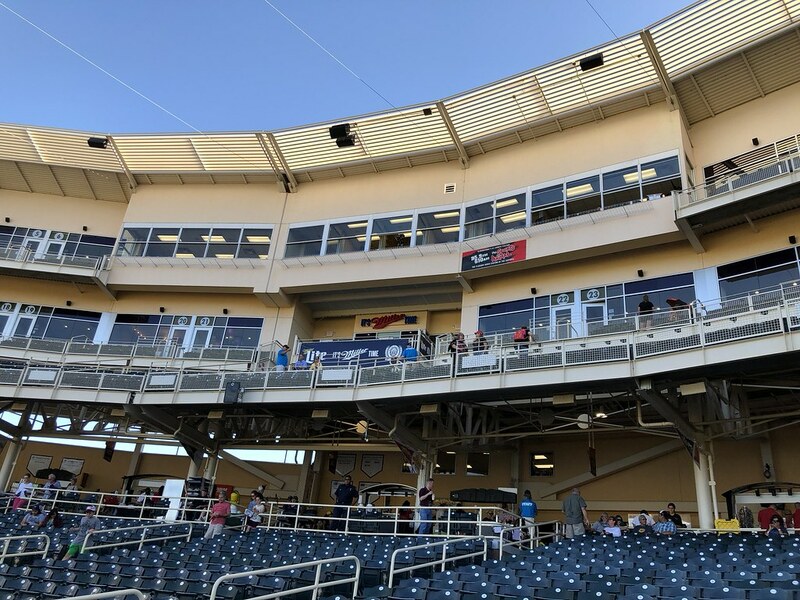 The pressbox sits on the third level, with luxury suites on either side and running along the second level. 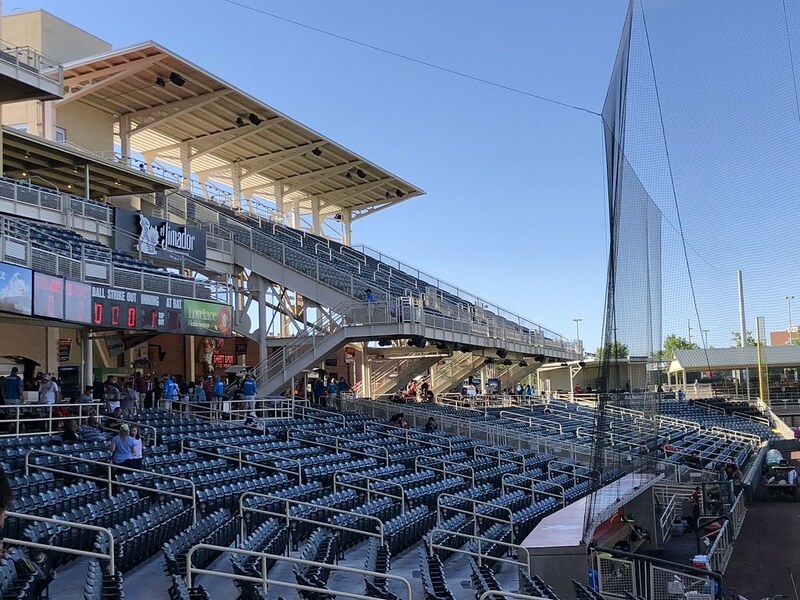 An elevated seating deck sits on the third base side of the park and extends over the main seating bowl. 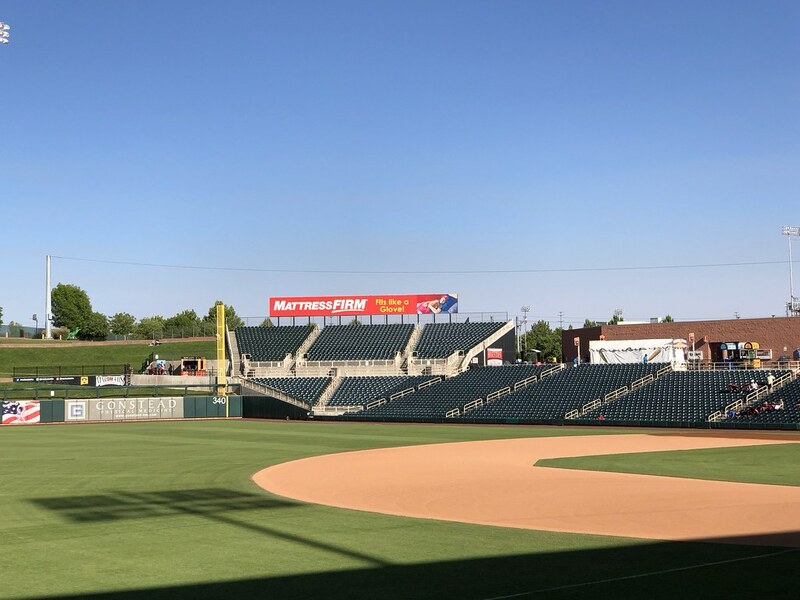 Covered group seating areas overlook the field from the left field corner of the park. 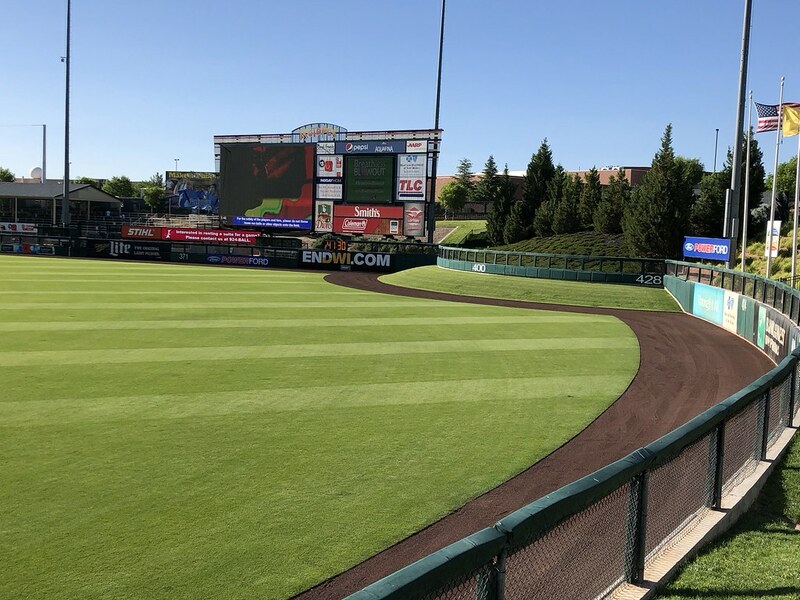 The bullpens sit in front of the left field picnic deck, with the foul pole located inside one of the bullpens. 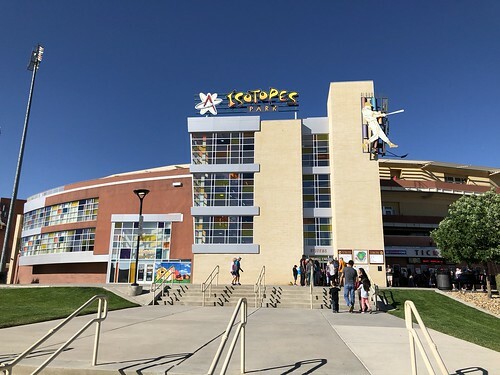 The main concourse at Isotopes Park. 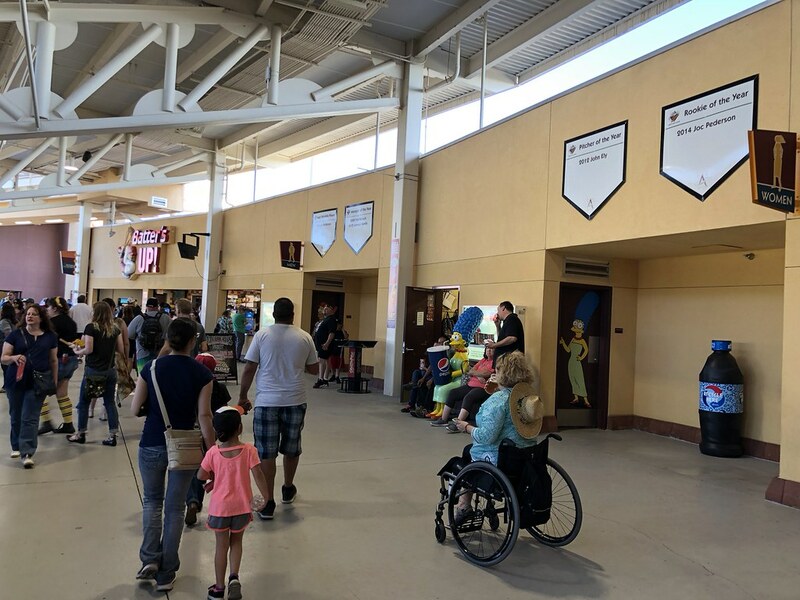 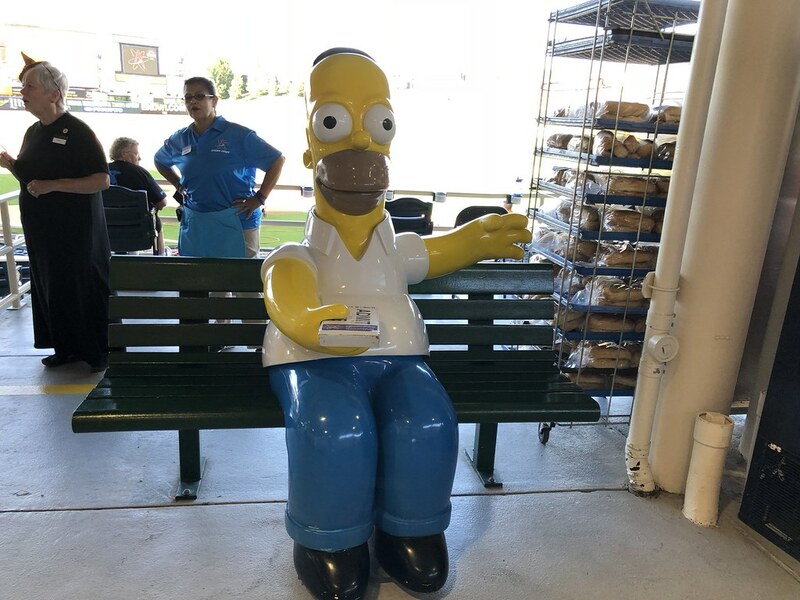 The Albuquerque Isotopes were named after an episode of The Simpsons, and statues of Simpsons characters sit along the concourse. 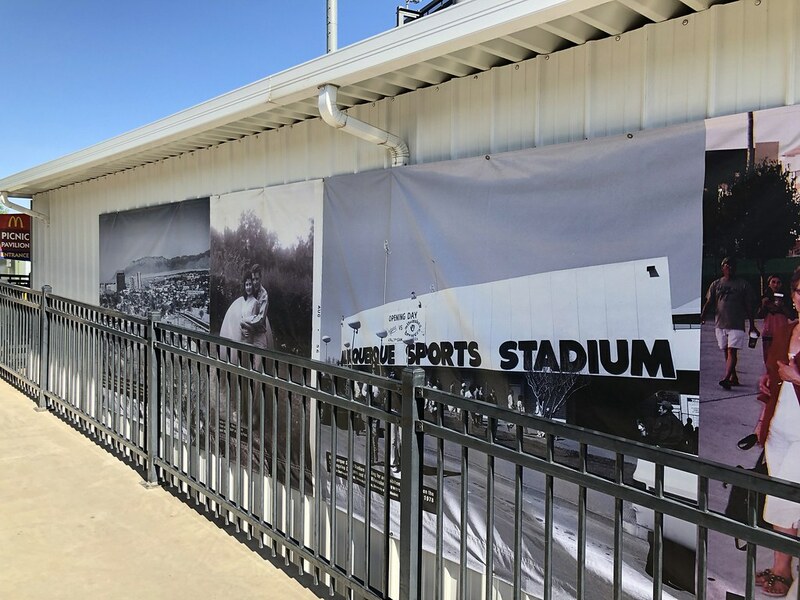 Banners along the outfield concourse celebrate the former Albuquerque Sports Stadium, which included "drive-in" seating in the outfield where fans could watch the game from their cars. 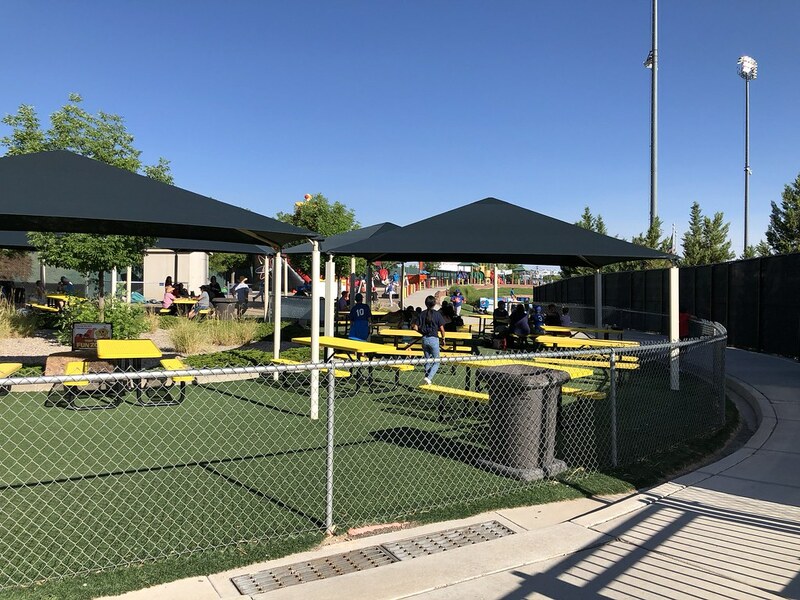 Shaded picnic table seating is located on the outfield concourse behind the batter's eye. 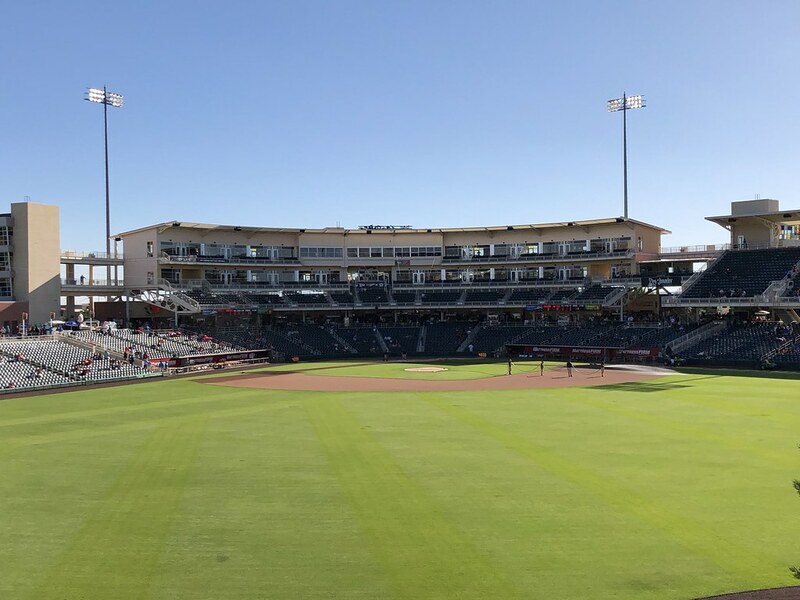 Tiered berms sits beside the landscaped batter's eye in right field, with a children's play area above. 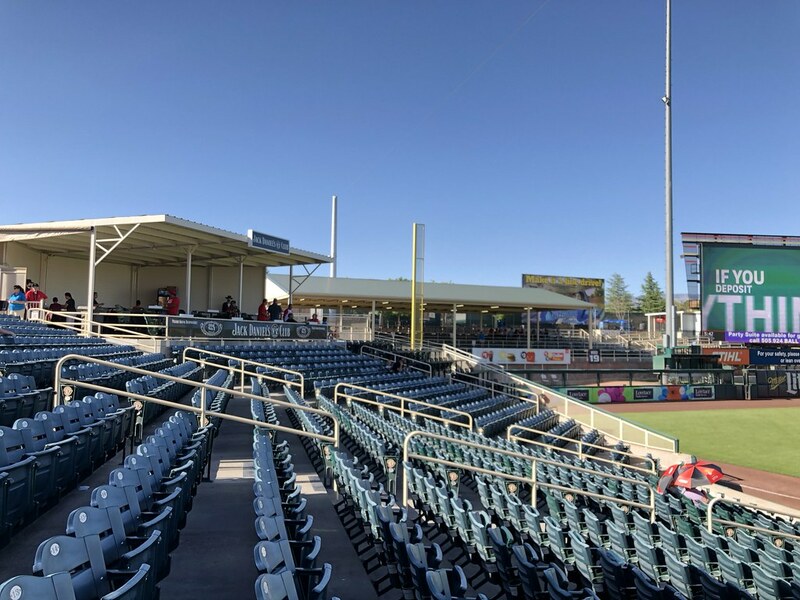 A large bleacher section sits at the right field end of the grandstand. 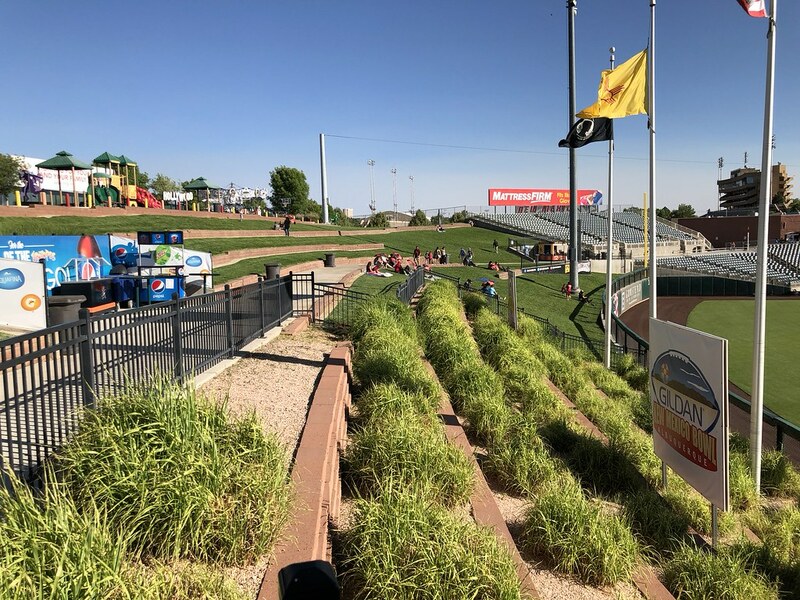 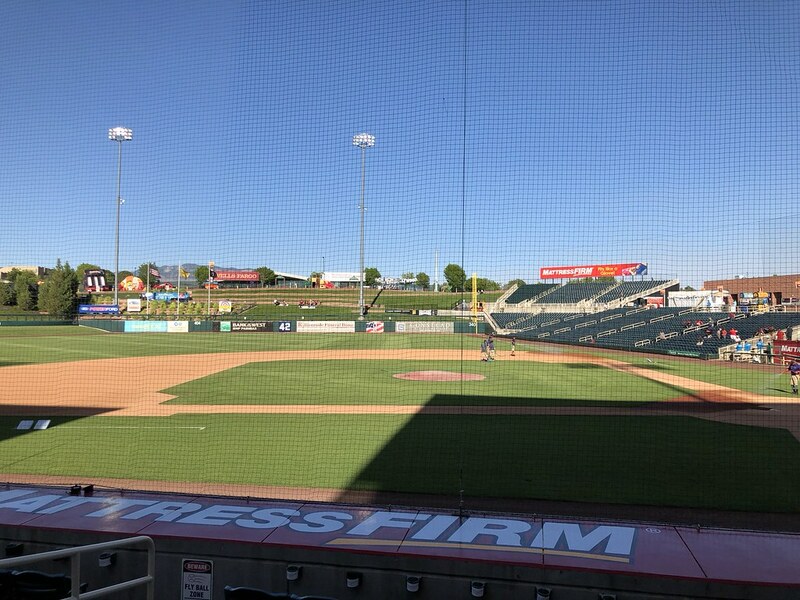 The "'Topes Slope," a grassy hill that is in the field of play, sits in center field at Isotopes Park and is one of the few hills in play left in professional baseball. 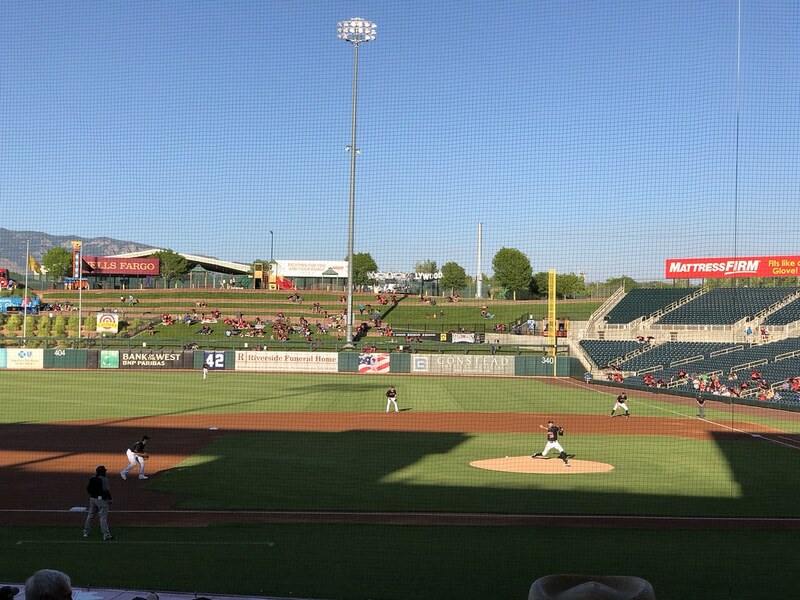 The Albuquerque Isotopes on the field during a game at Isotopes Park.